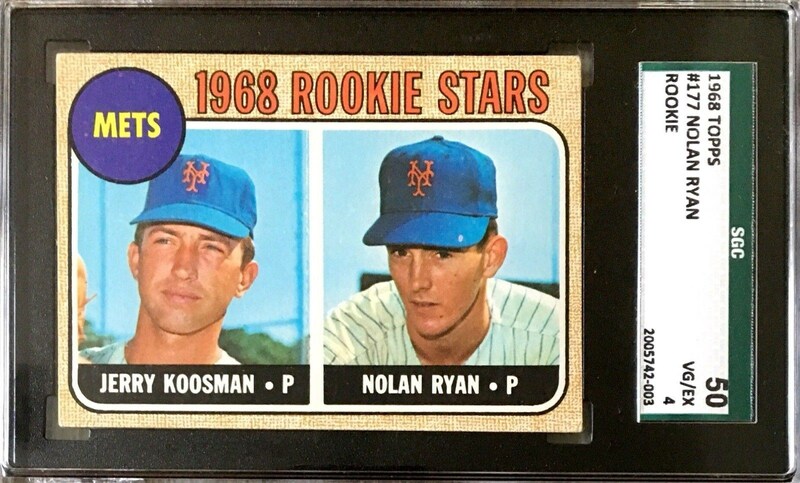 Up for your consideration is a 1968 Topps #177 Nolan Ryan Rookie card. The card has been freshly slabbed and graded by SGC. 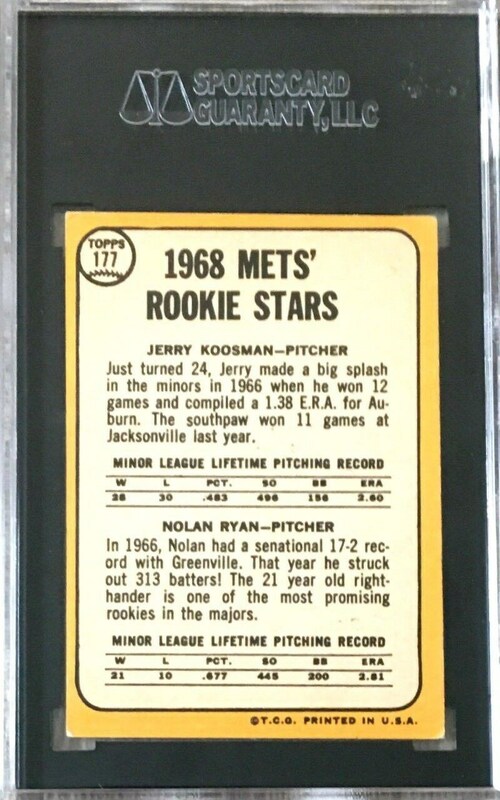 The card has been graded a SGC 50 - VG/EX. This would be a great addition to any collection.